Just because you’re moving to a city that has rich old-west heritage doesn’t mean you have to live in a barn. Luxury is present in all its forms in the Denver area and these four apartment properties prove it. Crestwood – 12255 North Claude Court, Northglenn – $675 – 1,525 These resort apartments in Northglenn are 100% comfort and luxury. The landscaping is nice and the design of the apartment units makes great use of the space. 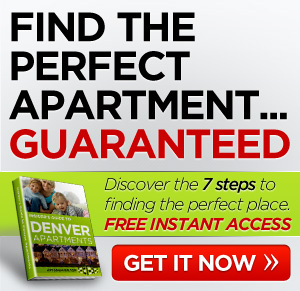 Floor plans range from 783 – 1,400 square feet and the commute to downtown Denver is 14.4 miles each way. This apartment complex is located fairly close to many of the neighborhood amenities you require. Groceries, restaurants, coffee, shopping, schools, and parks are all under a mile from the complex. So is a Barnes & Noble, which would seal the deal for me. 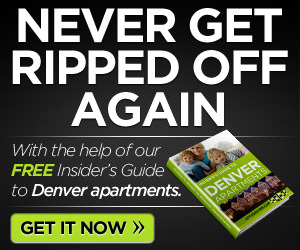 Regis Place – 4703 West 52nd Ave., Denver – $850 – 1,399 Units in these newer apartment homes are available in two- to four-bedroom floor plans ranging from 775 – 1,487 square feet. Units have 9-foot ceilings and once you’ve seen one of the models, you won’t want to leave. Most critical neighborhood amenities are within a mile of the complex, except for a video store — Big Top Video is 1.3 miles away. Lakecrest at Gateway Park – 4699 Kittredge Street, Denver – $770 – 1,204 I’ve never lived next to a lake, but this complex really makes me want to try it. This place has everything including nine floor plans for you to peruse ranging from 689 – 1,314 square feet. I really can’t sufficiently describe this complex; you have to see it to understand how great of a find it is. 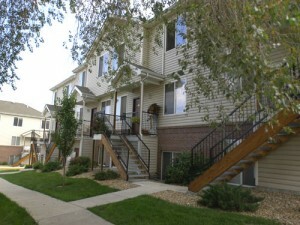 Somehow, even though it’s right next to a lake, the apartments manage to be within a mile of most of your local needs. Lowry Heights – 8000 E 12th Ave., Denver – $539 – 1,169 Luxury and affordable don’t usually go together, but these apartments manage to pull it off. Units range from one – three bedrooms with 565 – 1,346 square feet. When you visit, make sure to check out the club house and the workout area. They’re nice. Near Johnson and Whales University, these apartments have several local amenities within half a mile and most of the others are just a bit farther. You can get around easily here. Remember that just because you’re living near the big city, you don’t have to sacrifice luxury. On the contrary, come to Denver, rent a big fancy place like one of the properties I’ve mentioned here and you’ll never want to move again.